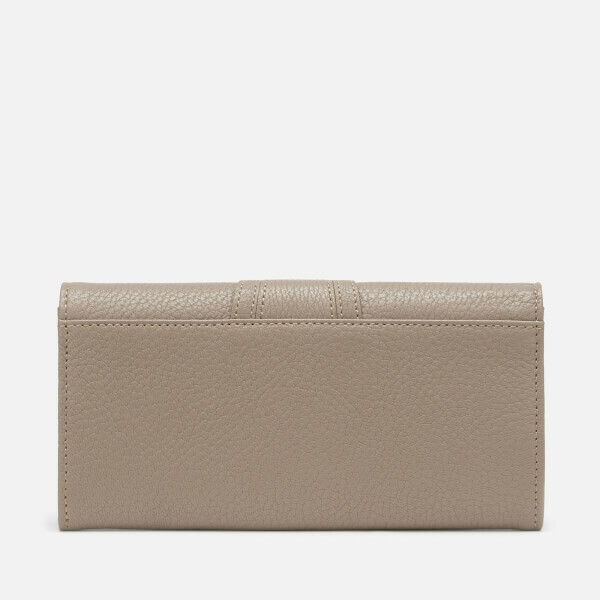 See By Chloé 'Hana' flapover purse in grainy leather. Braided ring detail on the front. Snap fastening. Twelve card slots. Two note compartments. Two open compartments. Central zip pocket. Gold-tone hardware. Branded dust bag.